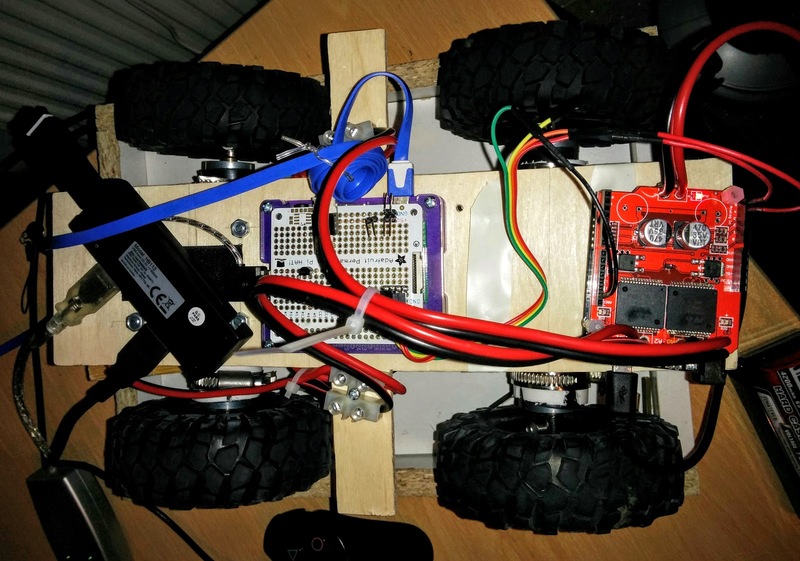 The motor driver haphazardly connected to the chassis. To being with I've just taken some of the source code I used last year (The Arduino source and a cut down python test script), cut out the unused functionality and updated it to support the 'Monster Moto Shield' instead of the T'Rex controller. With a bit of fiddling I'm now able to drive the motors using a PS3 controller. 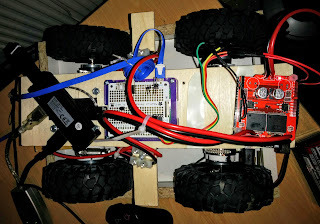 Obviously this is just an initial test and its going to take a lot more work to get the robot driving around autonomously (I can already see the watchdog firing on the Arduino.. an issue I had last year too), but its a good starting point!